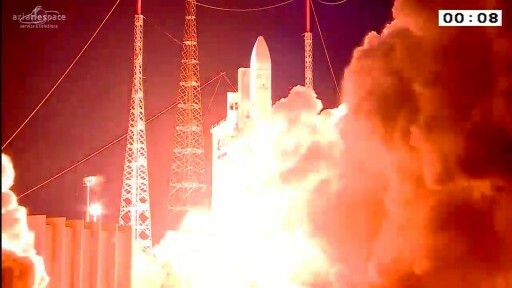 Launch occurred at 21:34 UTC, the opening of a 43-minute launch window, to mark the start of a flight also taking 43 minutes to deliver the Badr-7 and GSAT-15 satellite to a highly elliptical Geostationary Transfer Orbit. To check off its 69th consecutive success, Ariane 5 made an on-target delivery of the two satellites to take up station in Geostationary Orbit in the coming days to deliver communications services to Africa, the Middle East and India. Badr-7, the larger of the two passengers sitting in the upper payload berth, stands 8.5 meters tall and weighs in at 5,798 Kilograms, built by Airbus Defence and Space based on the successful Eurostar 3000 satellite platform. 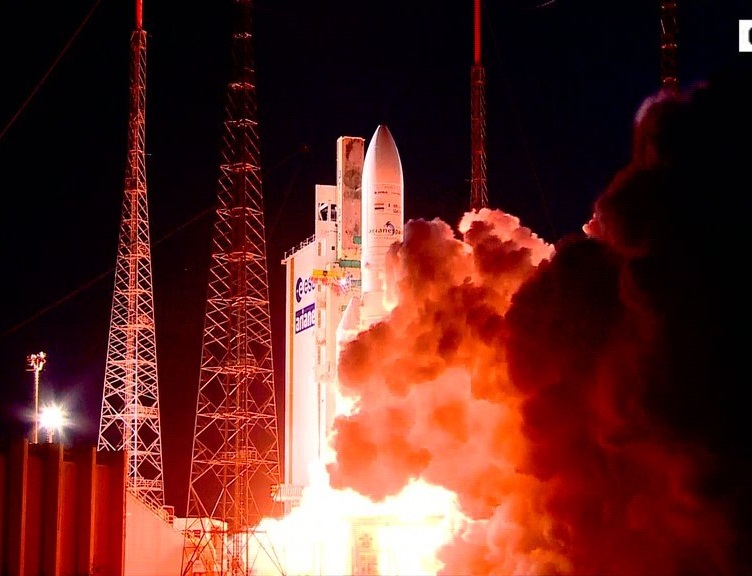 It hosts 27 Ku-Band transponders plus a Ka-Band communications payload to deliver broadcast, broadband and telecommunications services to the Middle East and North and Central Africa, becoming part of an orbital video hot spot consisting of the operational Badr satellites operated by Arabsat. GSAT-15 was built by the Indian Space Research Organization to become a part of the GSAT fleet of satellites that has been in operation since the early 2000s to deliver a variety of communications services to civilian and government sectors in India. 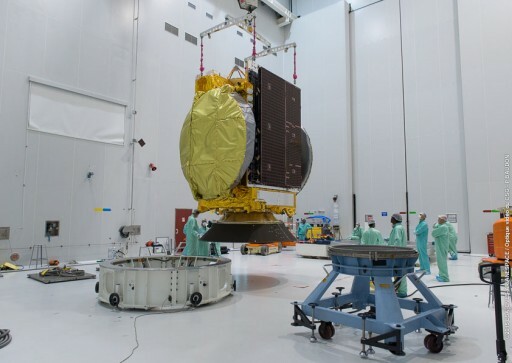 With a mass of 3,100 Kilograms, GSAT-15 is outfitted with 24 Ku-Band transponders that will serve the Indian territory, providing Direct-to-Home television services and supplying comm services to very small aperture terminal (VSAT) operators. The satellite also carries a payload for GPS Aided Geo Augmented Navigation for Safety of Life (SOL) operations benefiting the civil aviation services. The GAGAN payload, operating at the L1 and L5 frequencies, serves the entire hemisphere of Earth that is visible to the satellite. In addition, the satellite hosts two Ku-Band beacons. The VA227 mission comes after a busy year for the workhorse with a total of six mission, all carrying pairs of heavy satellites into orbit. 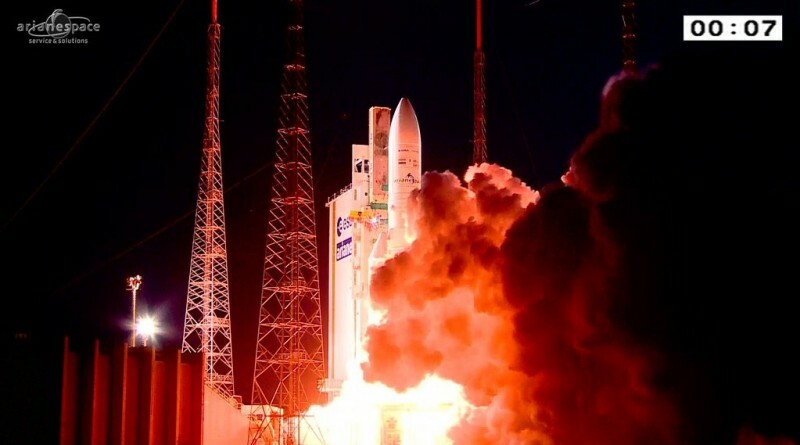 VA222 was the first Ariane 5 flight of the year, occurring in late April and lofting the Thor 7 communications satellite to orbit to deliver high-speed data services to maritime terminals, and SICRAL-2 used by the French and Italian governments for secure communications. DirecTV-15 and Sky Mexico 1 went up one month later to take up station to deliver coverage to the Americas. 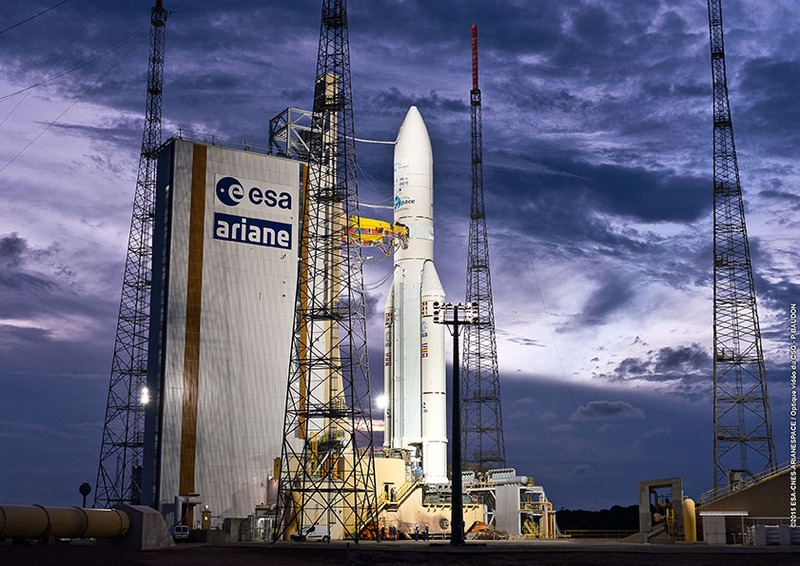 In mid-July came the only non-communications satellite launch for the Ariane 5, lifting into orbit the MSG 4 weather satellite for the European Space Agency and EUMETSAT weather agency. 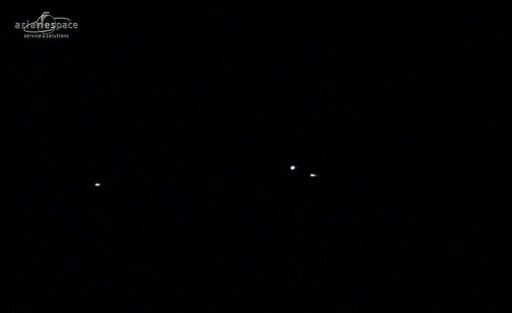 It was accompanied by the Star One C4 communications satellite. 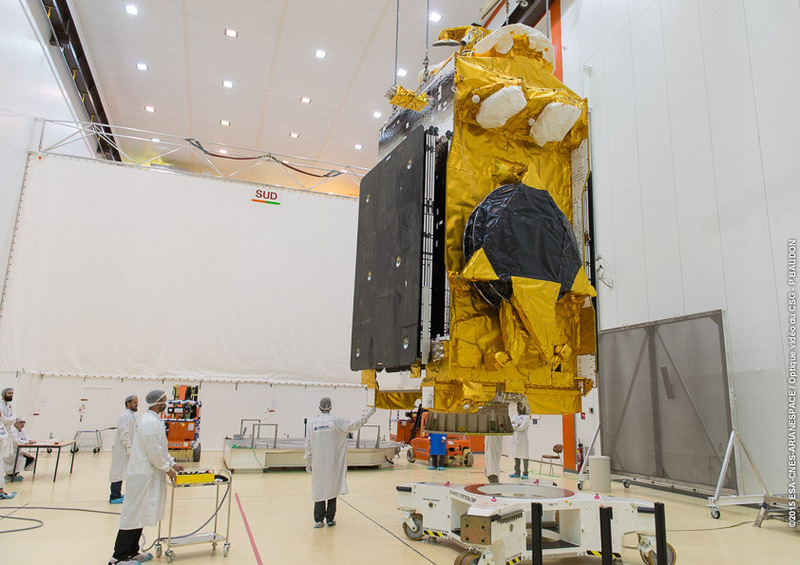 In August, Ariane 5 delivered the Eutelsat 8 West B and Intelsat 34 satellites to Geostationary Transfer Orbit for two of the world’s leading satellite communications providers, further cementing Ariane’s role in the international launch market. On September 30, Ariane 5 successfully boosted the Sky Muster satellite to orbit to deliver broadband communications to remote areas of Australia, accompanied by ARSAT-2, the second large communications satellite built in Argentina. 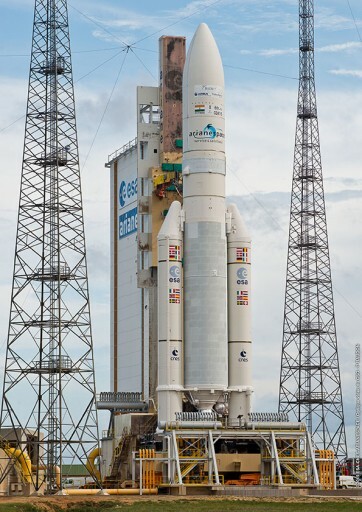 Topped with a payload of just under ten metric tons, Ariane 5 headed into its lengthy countdown operation 11.5 hours ahead of the 21:34 UTC launch window opening. Initial countdown operations included preparations for propellant loading and close-outs of the Ariane 5 launcher and pad structures. At L-7.5 hours, the Ariane 5 rocket was activated for an extensive set of tests including checks of the electrical systems, the RF communication system, flight computers, range safety systems and Ground Support Equipment. Launch vehicle testing continued throughout the countdown and the Vulcain engine on the core stage initiated its chilldown sequence about three hours before launch. Avionics and battery heaters were activated at that point to keep equipment at a stable temperature. 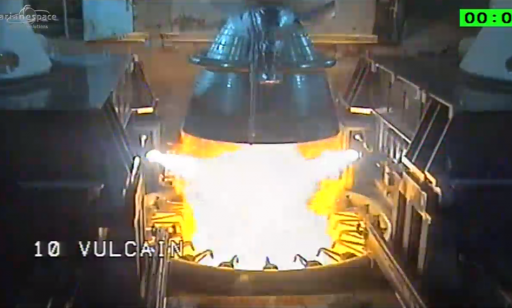 Also, the Vulcain Ignition System’s heaters were activated in preparation for launch. 70 Minutes prior to T-0, final Telemetry, Tracking and Command Systems checks picked up to make sure Ariane was ready for liftoff. At L-30 minutes, the launch team started preparations for the Synchronized Countdown Sequence starting at T-7 Minutes. These final preparatory steps also included the transition of the two satellite payloads to internal power. The highly choreographed synchronized sequence got underway as clocks passed T-7 minutes. This final countdown sequence features the last crucial reconfigurations that put the 777,000-kilogram launch vehicle into the proper configuration for liftoff.At T-6 minutes 30 seconds, propellant topping to flight level was complete and fueling was terminated. In addition, pyrotechnic safety systems were reconfigured for launch. At T-6:00, the ordnances of the launcher were activated and first stage Helium Loading was ended. Launch vehicle batteries were reconfigured at T-2:30 as the the heaters of the first stage’s avionics and the Vehicle Equipment Bay Batteries were turned off. Clocks hit zero at 21:34 UTC and the Vulcain 2 engine of the rocket soared to life, throttling up to its liftoff thrust of 97,900 Kilograms. Ignition was carefully monitored by computers to make sure the engine reached operational conditions. With the engine up and running, the ignition command was sent to the Solid Rocket Boosters at T+7.3 seconds. Upon booster ignition, Ariane 5 jumped off its pad with a total thrust of nearly 1.5 million Kilograms and an initial thrust to weight ratio of 1.8. Providing 92% of the rocket’s total thrust at launch, the boosters delivered an extra kick to the rocket for the first phase of the ascent. Each booster measures 31.6 meters in length and 3.05 meters in diameter holding 237,000 Kilograms of solid propellant. After 13 seconds of vertical ascent, Ariane 5 initiated its Pitch Maneuver followed by the Roll Maneuver four seconds later. Vehicle control was provided by gimbaling the nozzles of the EAP boosters and the Vulcain 2 engine. By T+32 seconds, pitch and roll were complete and Ariane 5 was on its precisely planned ascent trajectory – headed for an elliptical Geostationary Transfer Orbit. Flying east, Ariane 5 was set for a quick 20-minute trip across the Atlantic Ocean. 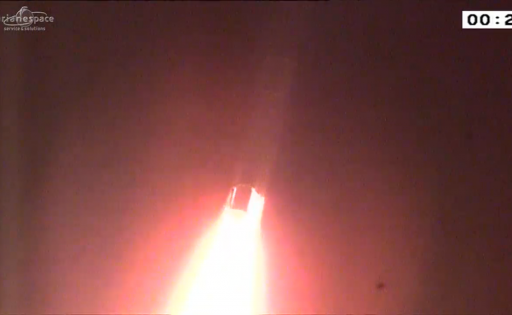 50 seconds after launch, Ariane 5 passed Mach 1, 6.8 Kilometers in altitude followed by Maximum Dynamic Pressure one minute and nine seconds into the flight. 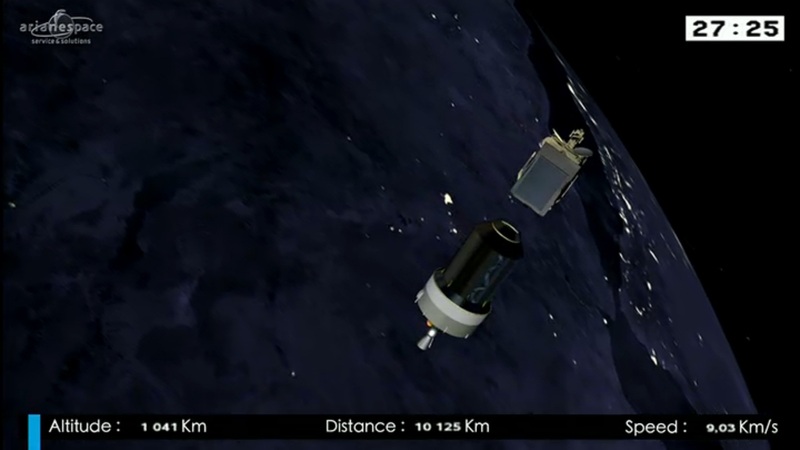 Two minutes and 23 seconds into the flight, the two EAP boosters burned out and were separated after helping accelerate the vehicle to 2,007 meters per second. Separation was triggered by the pressure drop inside the boosters signaling they had burned out. Booster jettison took place at an altitude of 67.0 Kilometers, sending the EAPs for a crash landing in the Ocean. With the boosters gone, the vehicle was only powered by the Vulcain 2 engine of the core stage. The engine provides 136,600 Kilograms of vacuum thrust. Vulcain 2 is 3 meters long, 1.76 meters in diameter and has a dry weight of 1,686 kilograms operating at a chamber pressure of 117 bar. Three minutes and 24 seconds into the flight, the large payload fairing was jettisoned when the stack reached an altitude of 111 Kilometers. At that point, aerodynamic forces could no longer harm the satellites as the vehicle continued its ride into orbit. Ariane’s fairing is 5.4 meters in diameter and 17 meters long, offering enough space for dual-payload stacks. 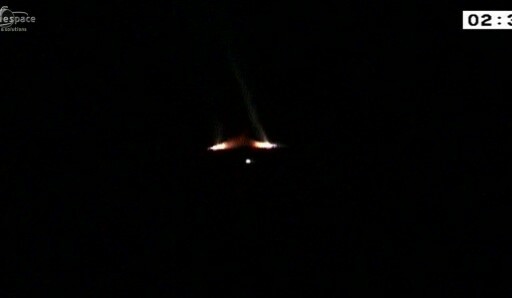 Sticking to its planned trajectory, the upper stage performed as advertised. 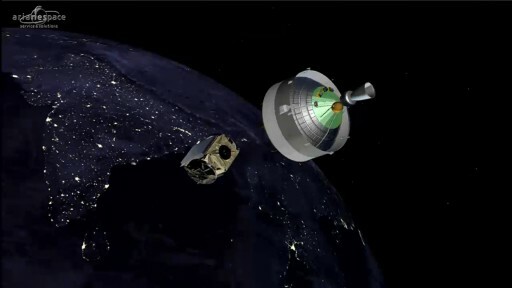 The VA227 mission targeted an insertion orbit of 247 by 35,786 Kilometers at an inclination of 4.0 degrees. Insertion occurred 24 minutes and 56 seconds into the flight at an altitude of 657 Kilometers and a velocity of 9.34 Kilometers per second. 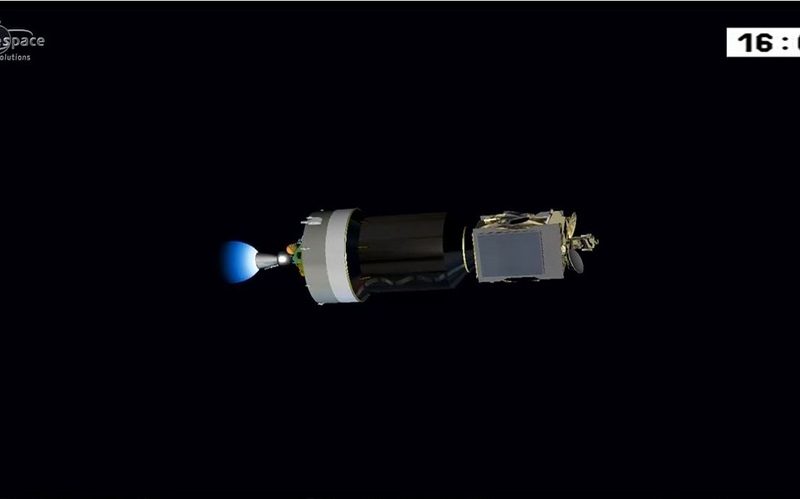 Immediately after upper stage shutdown, the vehicle started using the Hydrazine Reaction Control System to re-orient for the separation of the Arabsat satellite. Just over T+27 minutes into the flight, Badr-7 was released to embark on its own mission that will last for at least 15 years and begins with the ascent of the spacecraft into Geostationary Orbit ahead of the deployment of all appendages to enable several weeks of in-orbit testing to begin. The separation of the first passenger was followed by an attitude maneuver and the separation of the Sylda payload adapter at T+30 minutes to expose the second passenger that was riding into orbit under the Sylda which allows Ariane 5 to boost two satellites into orbit in a stacked fashion. GSAT-15 was sent on its way at T+43 minutes, marking the conclusion of the primary mission of the Ariane 5, and the start of a busy phase for the Indian satellite operators who will raise the spacecraft’s orbit over the coming days. Tuesday’s launch marked the 83rd mission for the Ariane 5 rocket since its inauguration in 1996, the 53rd in its ECA configuration. It was the 69th consecutive success for the launch vehicle. For Arianespace, two more missions are planned before the end of the year using the Vega rocket to launch ESA’s LISA Pathfinder mission and the Russian Soyuz launcher to loft the next pair of Galileo Navigation Satellites.